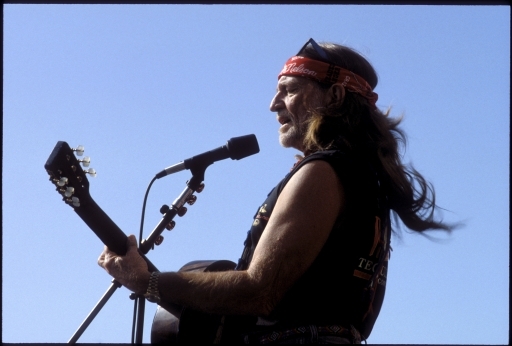 I want to include this shot because it’s one of my favorite photos of Willie Nelson. In 1972, my friend, Peggy Underwood, dragged me to a show in Round Rock, at “Big G’s”, where this “renegade Country-hippie coming back from Nashville” was holding forth…Since then, probably one half of my professional earnings were directly, or indirectly, due to the fact that Willie was in Austin. He made so many things happen just by being here! Austin City Limits wouldn’t be in it’s first, much lest 31st year, without him and his creative energy …. Willie is truly the best Texas has to offer. I’m proud to have been able to convey his image to the world. It’s been my pleasure, and honor…. Just have to say, what a great and perfect picture of Willie. Do you sell prints? I would LOVE to buy this one. yes, I sell prints. Price is $300 plus the cost of manufacture for any size you want. email me directly at scott@scottnewtonphoto.com to discuss if you’d like to proceed.